Lieutenant-General (ret.) Roméo A. Dallaire, who led a distinguished career in the Canadian Armed Forces and served as commander of a United Nations peace-keeping force in Rwanda, was the 2010 commencement speaker at NSU's Undergraduate Commencement Exercises. The ceremony was held at 4:00 p.m. on Sunday, May 16, 2010, at the BankAtlantic Center in Sunrise, Florida. Dallaire was the force commander of the United Nations Assistance Mission for Rwanda (UNAMIR) from 1993 to 1994. During a three-month span in 1994, an estimated 800,000 Rwandans were killed in a genocide waged by Hutu extremists against Tutsis and Hutu moderates. Dallaire tried to stop the genocide and is credited with savings lives in the central African nation. His leadership and courage in the face of these atrocities earned him Canada's most prestigious military honor, the Meritorious Service Cross, and international respect. Dallaire's personal account of the Rwanda genocide, Shake Hands with the Devil: The Failure of Humanity in Rwanda, was awarded the Governor General's Literary Award for Non-Fiction in 2004. The book also became the basis of an Emmy-winning documentary film. After returning from Rwanda, Dallaire was named assistant deputy minister in the Canadian Department of National Defense. Since retirement, he has advocated for better mental-health services for soldiers and shared his own struggles with post-traumatic stress disorder suffered after his experiences in Rwanda. He has received numerous honors and awards, including the Officer of the Order of Canada in 2002, Grand Officer of the National Order of Quebec in 2005, and the Aegis Award for Genocide Prevention from the Aegis Foundation. Dallaire has written numerous articles on conflict resolution, humanitarian assistance, and human rights. While serving as a fellow at the Carr Center for Human Rights Policy, part of the Kennedy School of Government at Harvard University, he pursued research on conflict resolution and the use of child soldiers. 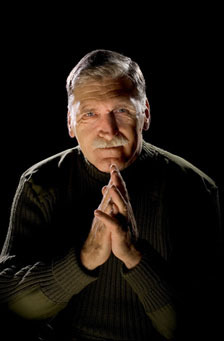 Dallaire's work for human rights includes his advocacy for the Canadian Forces mission to Afghanistan, speaking engagements relating to human rights and genocide prevention, and serving a senior fellowship at Concordia University's Montreal Institute of Genocide Studies. Each year, the Farquhar College of Arts and Sciences organizes its academic programming around an annual theme. Dallaire was the last of the distinguished speakers for the year who address the annual theme of "Good and Evil." For more information on the Distinguished Speakers Series, contact the Office of the Dean at (954) 262-8236.